Slide and reveal animal friends in the barn! 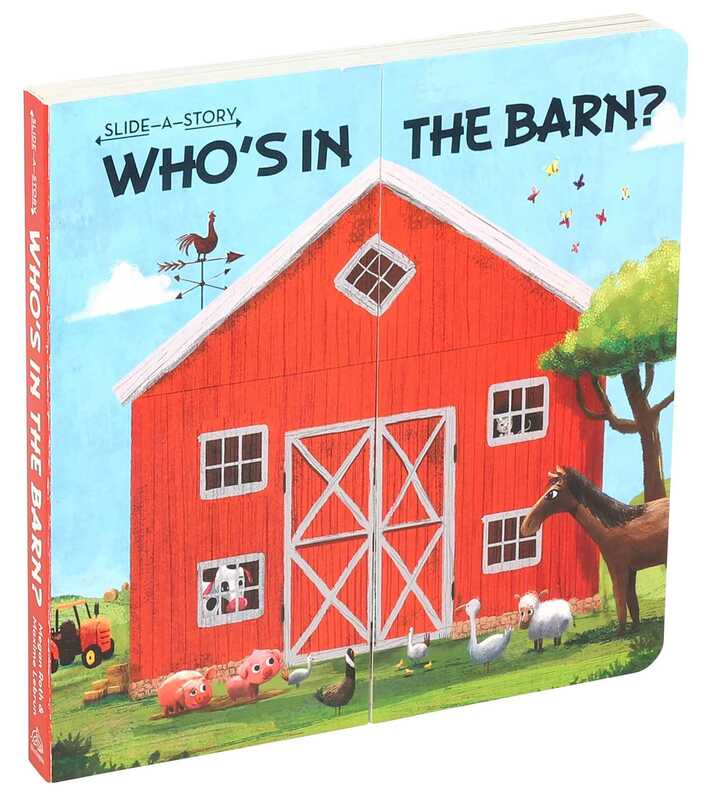 Head to the farm for some animal antics in this sturdy slide-apart board book! Sliders on each page reveal hidden animals in the barn, behind the hay bales, and in the pond. Little ones will delight in the hands-on feature as well as the adorable illustrations as they familiarize themselves with the cows, pigs, horses, and chickens of the farm! Book Cover Image (jpg): Slide-a-Story: Who's in the Barn?